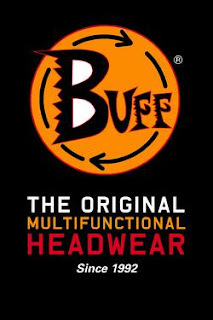 Buff® is the brand of an innovative, useful, comfortable, fun, multi-functional garment that will keep off the sun, wind or cold. The brand’s success consists of Joan Rojas having created a product that didn’t exist before 1992, which meets a significant need among sportspeople and outdoor practitioners who are seeking functionality, quality and design. A Buff® is probably the most versatile piece of headwear you will ever own. 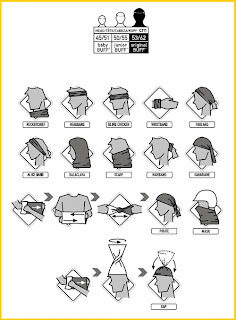 Buffs are designed for outdoor enthusiast and can be worn as a scarf, balaclava, face mask, neckerchief, pirate cap, wristband, headband.......the list goes on. It will wick perspiration away from the skin and is seamless for maimum comfort. More advantages of a Buff® include that it is made form a microfibre; is wind resistant; is small enough to keep in a pocket; is machine washable and fast drying. Top Tips - Fog Happens!